If you're like me, you like to have plenty of fresh vegetables in the house. Produce is pretty expensive these days, and growing food in the garden takes time and a lot of work. Enter the humble sprout - the fast-growing, cheap, and nutritious food you can grow on your kitchen counter. Why are sprouts so good for me? 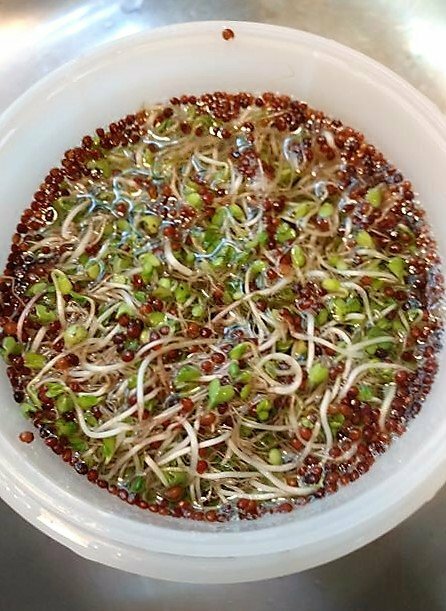 Why should I grow sprouts at home? What do you use to grow sprouts? What kinds of seeds can I use and where can I get them? How do you make sprouts with the Easy Sprout? Sprouts are a nutritious powerhouse packed with protein, fiber, vitamins, antioxidants, and minerals. These nutrients are super concentrated in a small space, so they have much more nutrition than mature plants. They're a rich source of enzymes that help your body digest carbohydrates and proteins. So that means you're getting more out of all the foods you eat. Vitamins C and A in the sprouts give a boost to your immune system, too. Sprouts are also great for weight loss or for maintaining your weight because they're high in nutrients and low in calories. And since they have a lot of fiber, they fill you up. Another reason sprouts are so good for you is that they're rich in omega-3 fatty acids - the "good" (HDL) cholesterol. Omega-3 fatty acids work to reduce the bad cholesterol (LDL) in your blood vessels, and they're anti-inflammatory. And recent studies suggest that omega-3 fatty acids can improve and protect brain function. 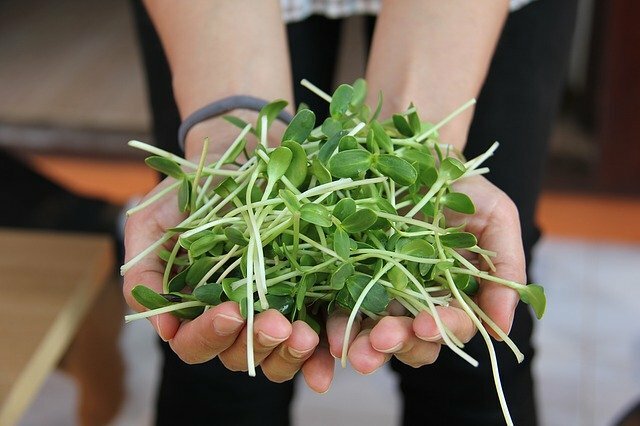 Besides the fact that they're so good for you, there are plenty of reasons to grow sprouts at home. First, there's the cost savings. I just checked the current price of alfalfa sprouts at my local grocery store. They're $1.99 for 5 ounces. 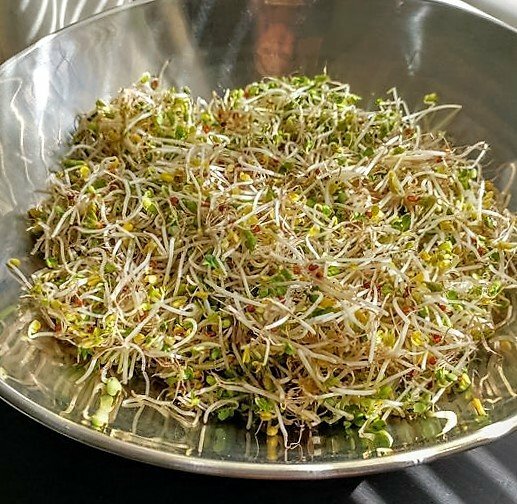 Well, 2 tablespoons of alfalfa seeds yield about 8 ounces of sprouts. 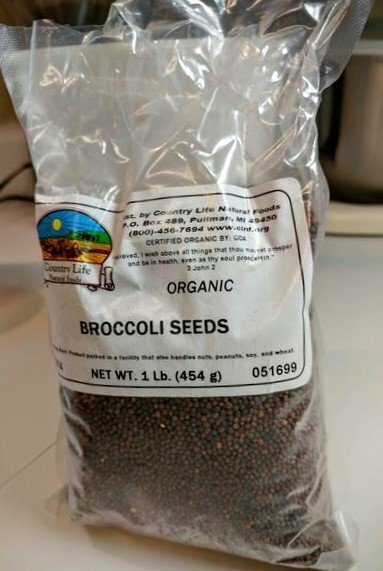 I paid $19.99 for 2.5 pounds of seeds, and I can get 40 batches of sprouts out of 2.5 pounds of seeds. That's 20 pounds of sprouts, which is equal to 64 5-oz. grocery store containers. $127.36 vs $19.99. You tell me which is the better price! Next, it's the taste. I love the taste of fresh sprouts in a sandwich or on a salad. Sometimes I just eat a small handful straight-up for a quick snack or if I realized I didn't have enough veggies that day. And when you make your own, you're not limited to the one or two kinds you can typically find in the grocery store. 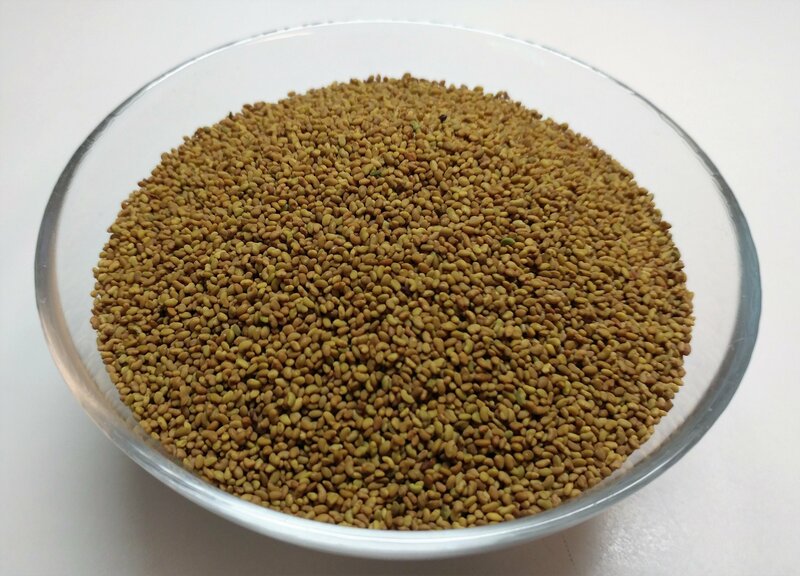 There's a huge variety of sprouting seeds available out there. Another good reason to have a sprouter and seeds on hand is for emergency preparedness. This is the reason I looked into sprouting seeds in the first place. If you have a sprouter and seeds and water, you can have a constant supply of fresh raw vegetables. You can grow them any time of year, and you don't have to rely on being able to get to a store for your veggies. And think about it - if there's a major power outage because of a hurricane or something like that, the stores aren't going to have power, either. No power means no refrigeration and no fresh food. Finally, there's the satisfaction of growing your own food. And if you are into "buying local", well, you can't get any more local than your own kitchen, can you? I've seen a few different ways to grow sprouts. Some people use glass jars with special lids. That's the most basic and least expensive method, but it takes the most attention from you. There are also sprouting trays for those who want to grow sprouts vertically. I like it because it's easy to use and makes just the right amount of sprouts for me - about a half pound. It allows for good drainage and air circulation, which are both very important for growing sprouts. The parts are made of food grade HDPE plastic, and it's dishwasher safe. It has a 1-quart growing chamber with drainage vents at the bottom. 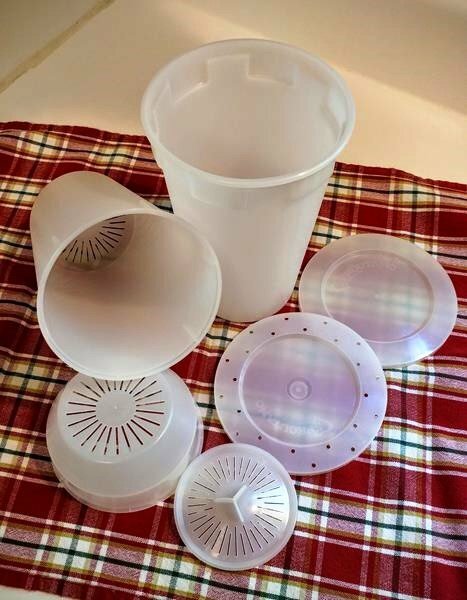 The chamber nests inside a solid cup that catches any extra water from rinsing. There are two styles of vented lids that help keep moisture in while allowing air to circulate. And there's a solid lid if you want to use the sprouter to store the sprouts in the fridge. I didn't realize until I started making my own sprouts that there's a huge variety of seeds available for sprouting. There are grassy-type seeds like alfalfa, red clover, and chia. They have a mild flavor. If you want a little more zing, you can try seeds from the Brassica family like broccoli, arugula, radish, and kale. You can buy a package of a single type of seed, or you can buy mixtures of different varieties. It's pretty amazing! Of course you can sprout beans and legumes. You can buy special seeds or just use some dried beans that you probably already have in your pantry. I'm partial to lentil sprouts, myself. They have a nutty flavor that I really like. Some people sprout grains, too. I haven't tried it yet, but it's on my radar. You want to buy seeds that are specifically labelled for sprouting. I've bought them from Sprout People, Amazon, and also through a food co-op that I belong to. Sprout People has the best variety, but you might have to pay for shipping. As far as storage goes, most seeds can last up to 5 years if you keep them in the freezer. Freezing is better than refrigerating because the temperature in the fridge tends to fluctuate. Just take out the amount of seed you need. There's no need to thaw them. I'm going to tell you the basic steps. If you want more details, there's a ton of information at Sprout People. 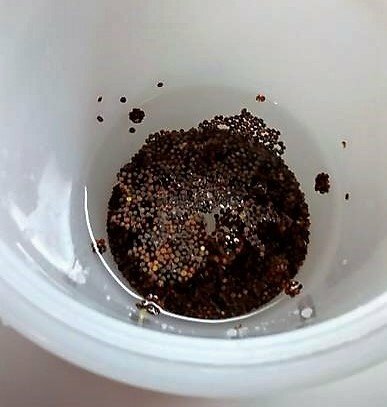 1) Start out by measuring about 2 tablespoons of seeds into the sprouter. Add about a cup of water and let them soak for about 8 hours. 2) Take the growing chamber out of the outer cup and let the water drain into the sink. 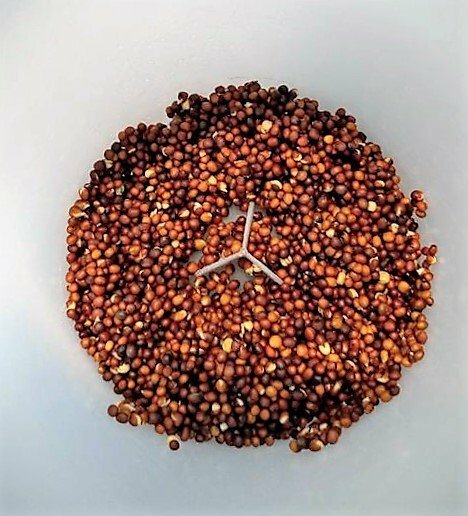 Give the seeds a good rinse from the water faucet and let the water drain out. Put the growing chamber back into the outer cup and put the vented lid on. 3) After 12 hours, take it out and rinse the seeds again. You'll see that they've already started to sprout. Let them drain, and put the chamber and lid back. 4) After 12 more hours, rinse and repeat. You just keep doing this every 12 hours until they're done. By the end of 5-6 days, the chamber will be filled with sprouts. 5) At this point you can remove the seed hulls, if you want. 6) Drain thoroughly. Enjoy your fresh sprouts, or refrigerate to use later. When you drain the sprouts, you want to get as much water out as is humanly possible. To accomplish this, I put the sprouting chamber in a mesh bag (like the kind lemons come in). Then I step outside and swing it around in a circle, and centrifugal force takes out the water. I'm sure my neighbors must wonder what in the world I'm doing! There are two ways you can do this. One is to fill the sprouter with water. Some of the hulls will rise to the top and you can skim them off with a spoon. The easiest way I've found is to put the sprouts in my salad spinner and fill it with water. When I lift out the inner basket, most of the hulls are left behind in the water. I'll usually do that twice. Then I give it a good spinning to get rid of the excess water. On the last day of sprouting, you can set the sprouter near a window if you want to green up the sprouts a little bit more. It's totally optional. So, there you have it. Making your own sprouts at home isn't hard at all with the Easy Sprout. They're so good for you, and they taste great, too. I hope I've convinced you to give it a try! What about you? Do you make your own sprouts? What method do you use?